U.S. Citizenship or intent to obtain citizenship. Maintain residency or employment within five (5) miles of Oberlin City Hall. Accident – injury insurance coverage. Occupational health and wellness program. Paid State of Ohio Firefighter 1, Emergency Medical Technician – Basic, and Hazmat Ops training. Protective clothing, uniform and equipment provided by department. Applicants may obtain a packet and submit an Application for Employment with the City of Oberlin Human Resources Department at any time. See Application Process for the steps in the hiring process including a physical abilities test and background check..
As vacancies occur, qualifed applicants will be contacted for an interview and approval to finalize the application process. 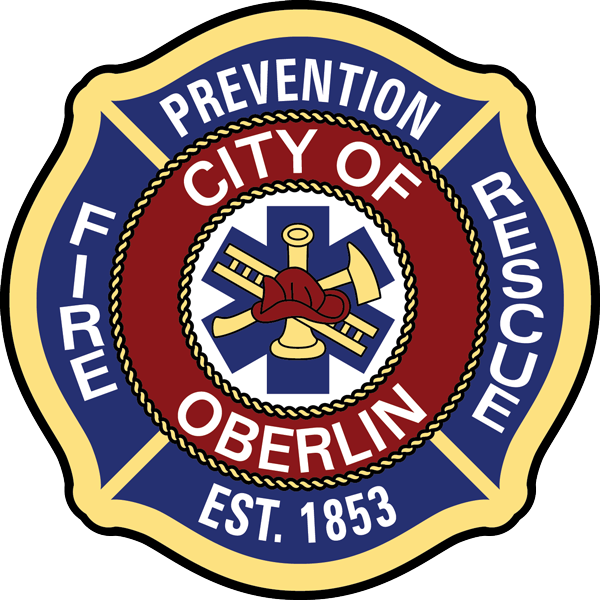 The City of Oberlin is a Drug-Free Workplace. Finalists selected for employment are required to pass a medical examination and drug/alcohol test conducted by the Fire Department Physician before assuming employment duties. All full time firefighter positions are filled from an eligibility list established from current part time firefighters through a competitive civil service examination process. All fire officer positions (Lieutenant, Battalion Chief) are filled by current employees through a competitive civil service examination process that includes both a written knowledge examination and a skills assessment based on the job duties of the position.